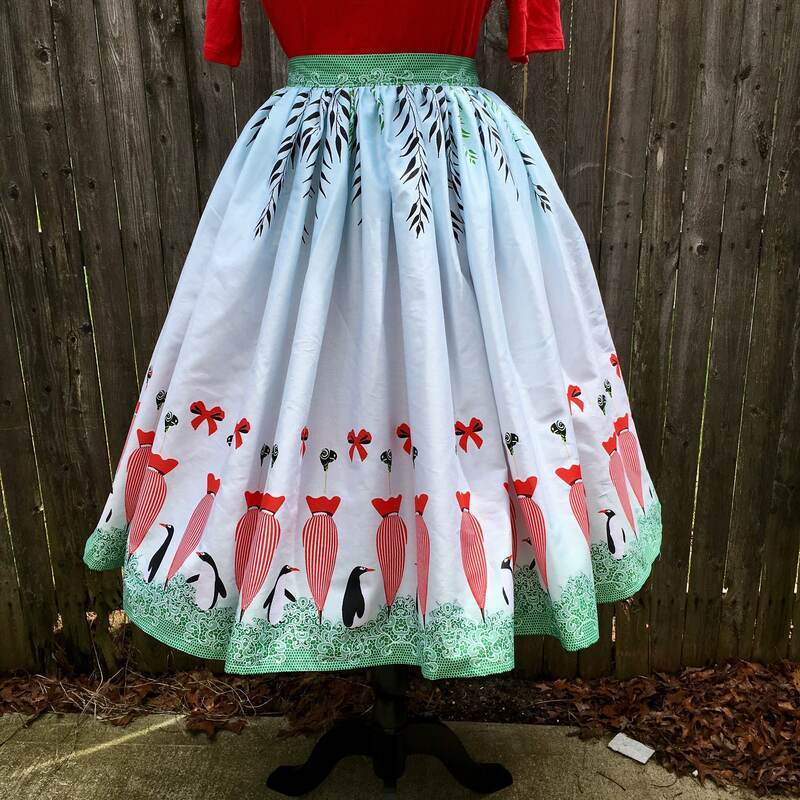 Channel Mary Poppins with this Disney inspired Jolly Holiday Border Print Skirt! 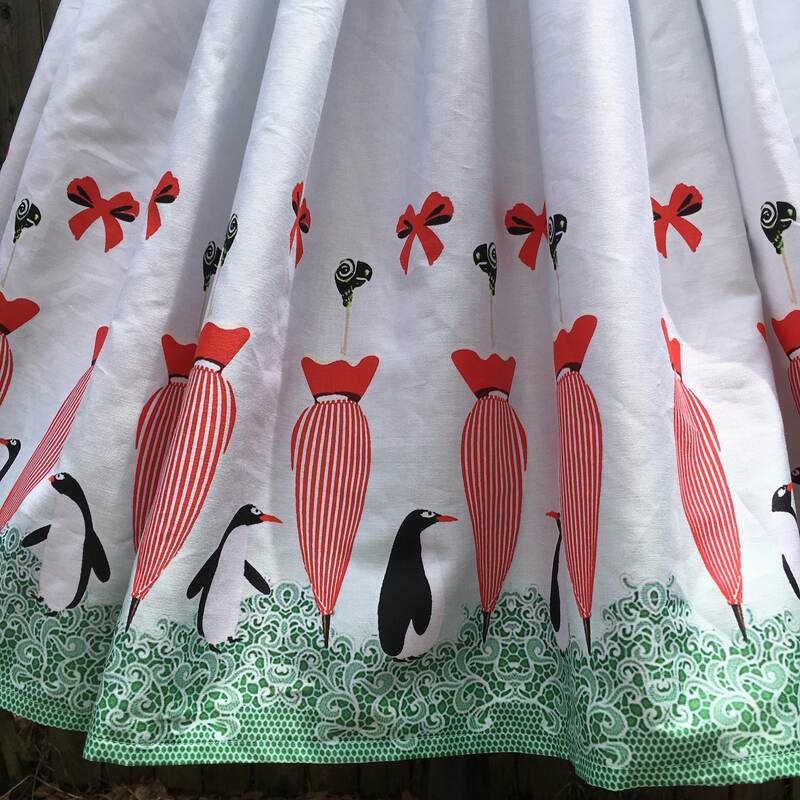 Adorable penguins dancing among the leaves and bright red umbrellas with parrot head topper. 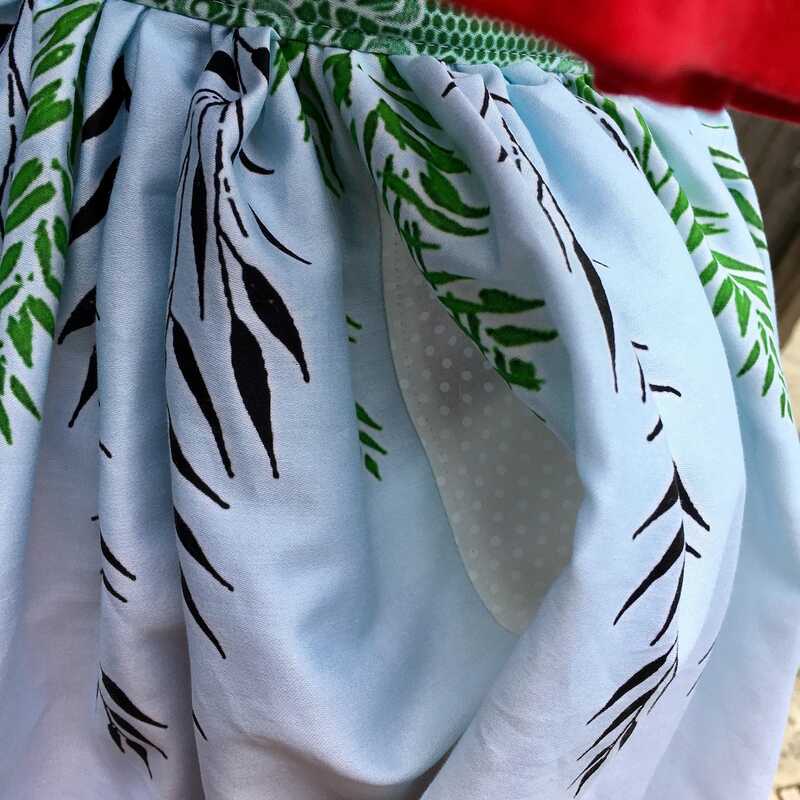 Skirt is custom made from organic cotton sateen and has deep inset side pockets. Length is 25" from waist. Be sure to note waist measurement with order. Thank you! 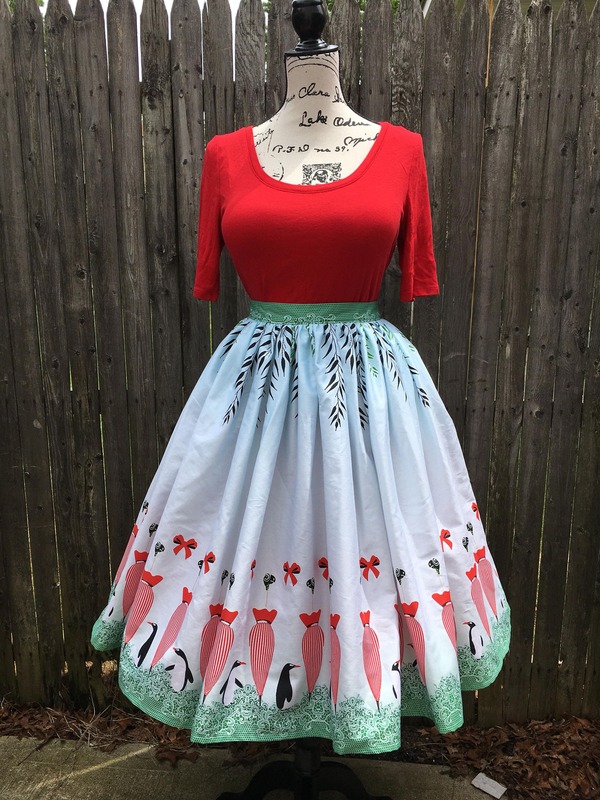 The fabric is nice, but the image is blurry. The pleating covers some of the bottom pattern. Fit was good. I purchased it on 7/5, with a 4-6 week processing time. Etsy gave a ship date of 8/16, & when I didn’t receive a ship notification on that date, I contacted the seller. I was leaving the country & had issues with my mail, so I wanted to be sure I got the skirt before then. The seller said it was a 6 week processing time & that she couldn’t change the ship date given by Etsy (which is untrue). In the end, it was shipped 3 days after the original date, & I did not get it until I was back in the US. 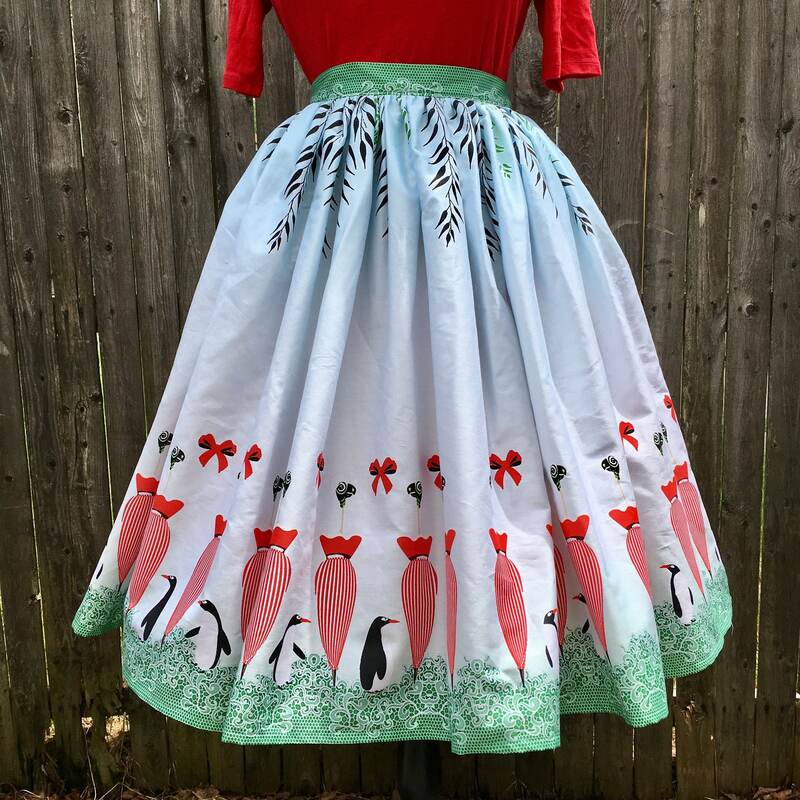 I definitely understand delays due to this being handmade, but I do believe the seller has the responsibility to share any information with the buyer as soon as they have it. ETA: zipper sticks & waistband rolls constantly.